2008 ACM Awards photos © Chris Walter. These photos may not be copied, linked to or published in any form without permission, including on websites. 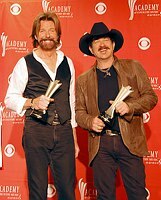 Brooks & Dunn - Kix Brooks and Ronnie Dunn at the 2008 ACM Awards at MGM Grand in Las Vegas, May 18 2008. 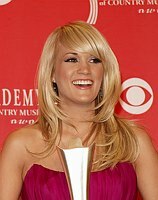 Carrie Underwood at the 2008 ACM Awards at MGM Grand in Las Vegas, May 18 2008. 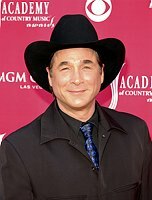 Clint Black at the 2008 ACM Awards at MGM Grand in Las Vegas, May 18 2008. Criss Angel at the 2008 ACM Awards at MGM Grand in Las Vegas, May 18 2008. 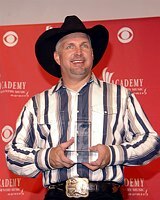 Garth Brooks at the 2008 ACM Awards at MGM Grand in Las Vegas, May 18 2008. Jewel at the 2008 ACM Awards at MGM Grand in Las Vegas, May 18 2008. Nicole Kidman and Keith Urban at the 2008 ACM Awards at MGM Grand in Las Vegas, May 18 2008. Nicole Kidman at the 2008 ACM Awards at MGM Grand in Las Vegas, May 18 2008. 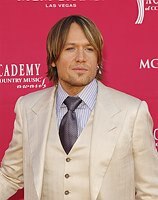 Keith Urban at the 2008 ACM Awards at MGM Grand in Las Vegas, May 18 2008. Kellie Pickler at the 2008 ACM Awards at MGM Grand in Las Vegas, May 18 2008. Hillary Scott of Lady Antebellum at the 2008 ACM Awards at MGM Grand in Las Vegas, May 18 2008. Ckarles Kelley, Hillary Scott and Dave Haywood of Lady Antebellum at the 2008 ACM Awards at MGM Grand in Las Vegas, May 18 2008. Dave Haywood, Hillary Scott and Charles Kelley of Lady Antebellum at the 2008 ACM Awards at MGM Grand in Las Vegas, May 18 2008. LeAnn Rimes at the 2008 ACM Awards at MGM Grand in Las Vegas, May 18 2008. Little Big Town - Phillip Sweet, Kimberly Roads Schlapman, Karen Fairchild and Jimi Westbrook at the 2008 ACM Awards at MGM Grand in Las Vegas, May 18 2008. Montgomery Gentry at the 2008 ACM Awards at MGM Grand in Las Vegas, May 18 2008. Rascal Flatts at the 2008 ACM Awards at MGM Grand in Las Vegas, May 18 2008. Sara Evans at the 2008 ACM Awards at MGM Grand in Las Vegas, May 18 2008. Sugarland - Jennifer Nettles and Kristian Bush at the 2008 ACM Awards at MGM Grand in Las Vegas, May 18 2008. Sugarland - Kristian Bush and Jennifer Nettles at the 2008 ACM Awards at MGM Grand in Las Vegas, May 18 2008. Taylor Swift at the 2008 ACM Awards at MGM Grand in Las Vegas, May 18 2008. Tracy Lawrence at the 2008 ACM Awards at MGM Grand in Las Vegas, May 18 2008. 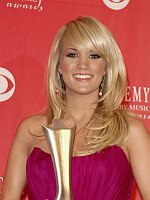 Home Events Artist List TV-Film Contact Archive FAQ Download FAQ Blogs Terms Personal Print FAQ Prints Mobile 2008 ACM Awards archive photos.